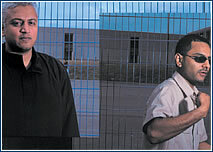 In the UK the members of the band Badmarsh & Shri are seen as the leading representatives of contemporary Asian dance music, the so-called Asian Underground. Within the framework of the long-term United Colors of Akropolis project and with the support of the British Consul they will play two concerts here – one in Prague and one in Brno. The music of this uncommon band is influenced by many musical styles, such as breakbeat, drum’n’bass, hip hop, reggae, jazz, and traditional Indian elements. 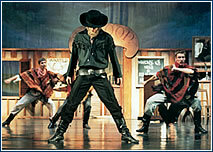 The ballet grotesque Lucky Seven, subtitled “Gunslinger’s Idyll from the Wild West in One Act and with Seven Corpses” by composer Miloš Vacek and librettist Vladimír Vašut was created in the mid-1960s. It was very well received by the public thanks to the parody-based humor in its libretto and music. This time it is being staged in the Stavovské Theater, with choreography and direction from the graduates of the Dance Conservatory and members of the Prague Chamber Ballet Praha, Tomáš Rychetský and David Stránský. The adagio from Edvard Grieg’s Piano Concerto in A Minor was choreographed by Libor Vaculík. The more recent Bolero, a composition based on classic Spanish dance traditions, is one of the best-known works of the French composer Maurice Ravel. 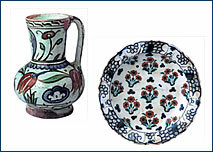 A unique exhibition of Turkish pottery will be on display at the Zbraslav Castle until 8 February of next year. During the 15th-17th centuries, an entirely new type of pottery originated in the Ottoman empire that should have been comparable to Chinese porcelain. Although the idea wasn’t completely successful, potters from Iznik in Asia Minor created technologically and aesthetically unique works. The pottery is distinguished by its whitish crocks, and glowing luster, transparent glaze, range of rich colors (from turquoise to tomato red) and, above all, a typical floral pattern – a realistically depicted tulip, carnation, and rose. In those days European nobles were interested in the Turkish wares, which became not only exports but also inspiration for European potters. The exhibition features the most comprehensive collection of Ottoman pottery to have been preserved in this country. 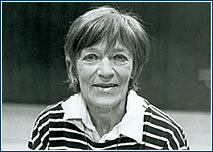 Ljuba Skořepová gives a benefit performance in the role of Maya Ney, the heroine of the play Slept Away Life, by Arnošt Goldflam and a Canadian of Polish origin, Tecie Werbovská. At first glance the heroine has lived a care-free life. But has she really lived it? This Oblomov-type character gives the impression that everything is going on around her without her involvement. She spent her childhood with foster parents, and now she has gotten lucky with her loving husband Ondřej. She has inherited enough money from him to be able to ignore oppressive reality and enjoy her beloved sleep. But at a certain point her loneliness becomes distressing. Tickets for these events may be purchased at any of the Ticketpro outlets, online through www.ticketpro.cz., or by phoning the EchoLine call center at 14051.